Just five and a half short months ago, Chellise and I got married in the middle of our busy season. Now, in less than an hour and a half, we will be leaving for Mexico on our taco eating, tequila drinking, beach infested honeymoon. In the spirit of such an occasion, I have some photos that may help induce your own world of warm thoughts. 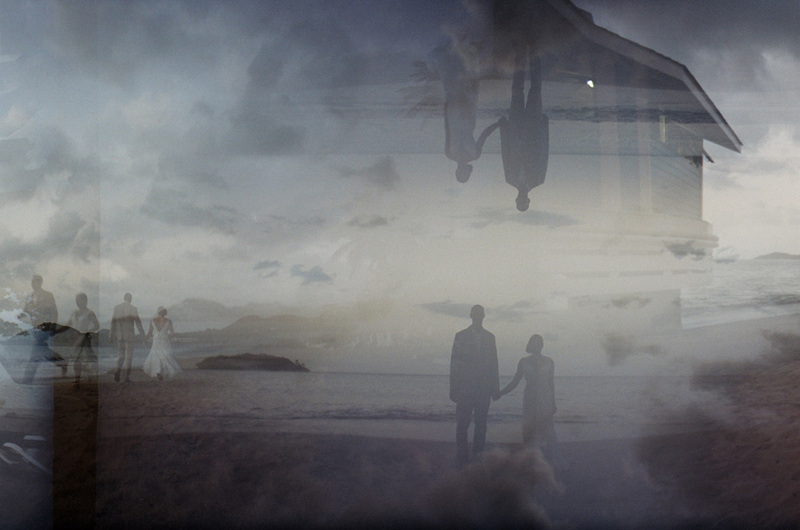 Below are a few exposures of film I took with our Lomo when we were shooting Gwen and Joel's intimate wedding in St. Lucia. Here's to bougainvilleas and Carribean clouds.